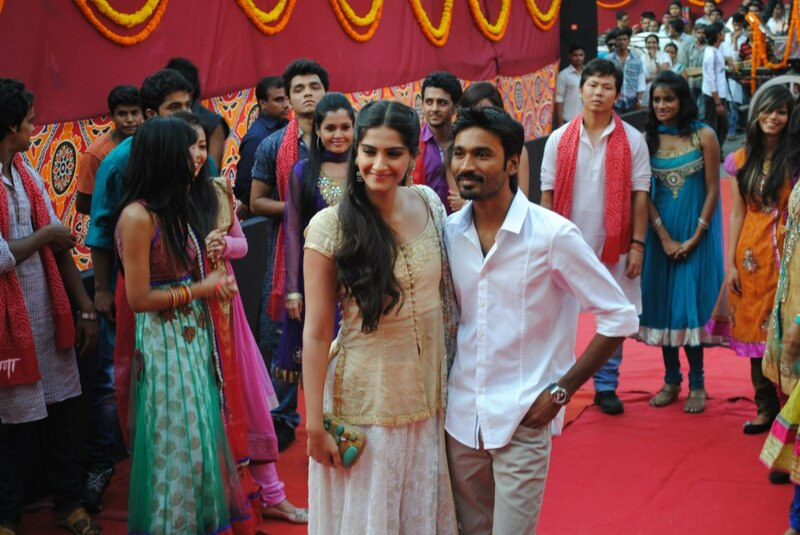 Directed by Aanand L. Rai and produced by Krishika Lulla Raanjhanaa is an inimitable love story of Dhanush’s Kundan and Sonam Kapoor’s Zoya. 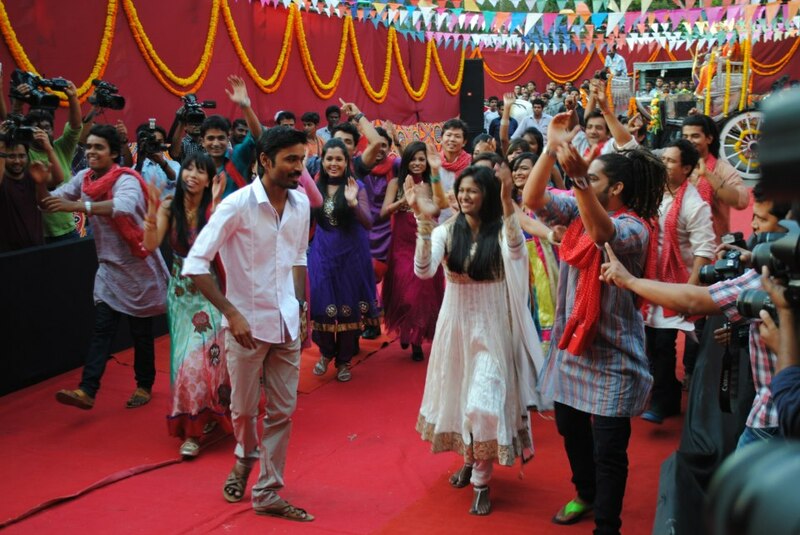 The epic romance, with music by AR Rahman, is all set to release in theatres on 21st June, 2013. 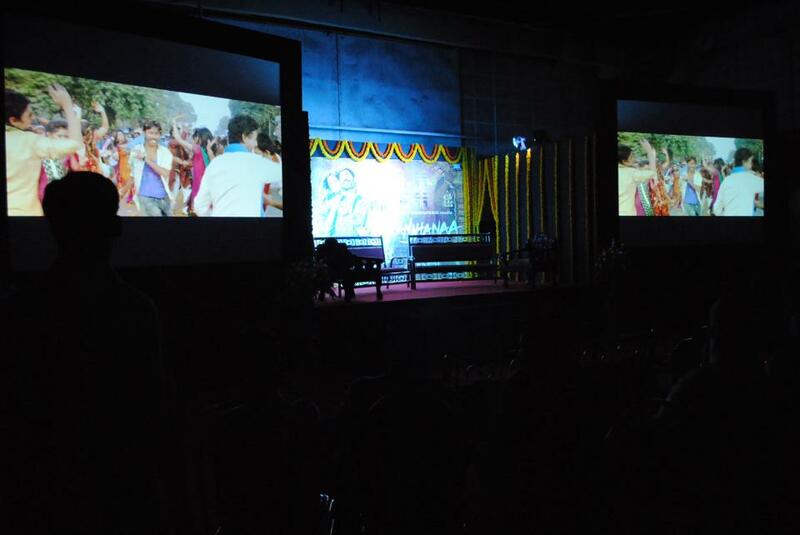 Synopsis: First love in anyone’s life holds a special place especially if the memory is filled with the vibrant musings of the city that you grew up in. 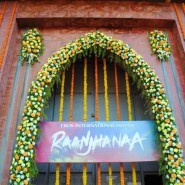 Benaras holds a special place in Kundan’s heart, because not only did he grow up as a typical, god fearing, shiv bhakt-Pandit but also because it was the city that gave him Zoya. 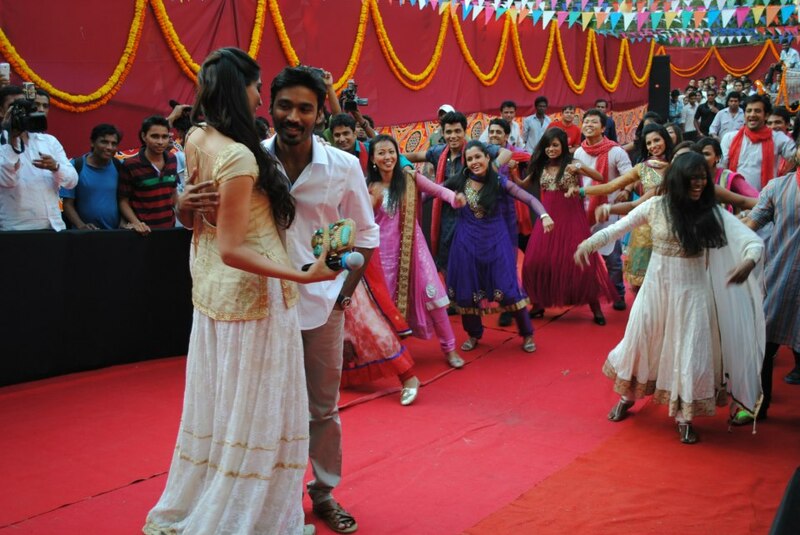 Quiet, beautiful with mischievous eyes, Zoya was the girl of his dreams. 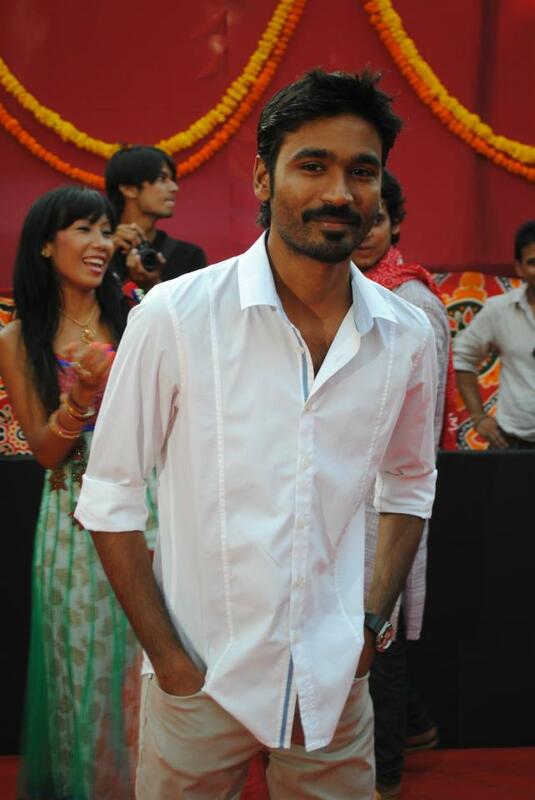 She was alike a breath of fresh air the first time he saw her on the busy streets, sitting regally in a Tonga. 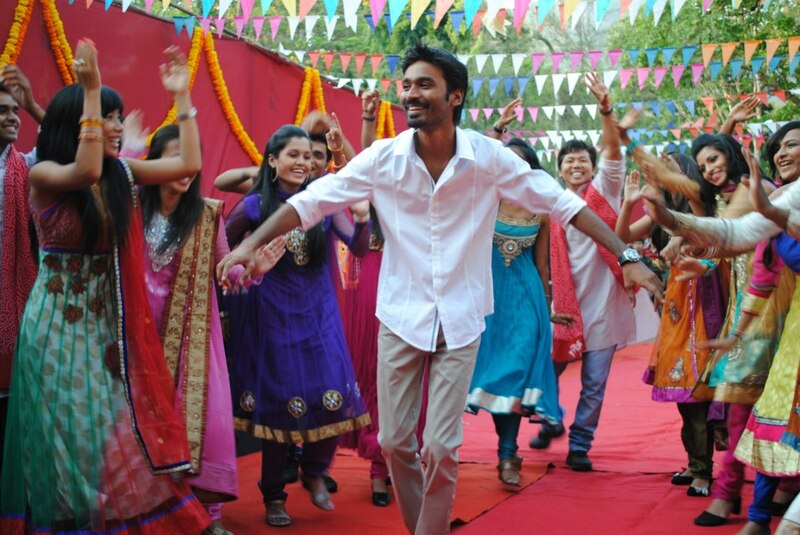 He would follow her everyday to the bazaar, back to her house till one day he mustered the courage to speak to her and tell her his true feelings – his 13-year-old heart, smitten by her simplicity. 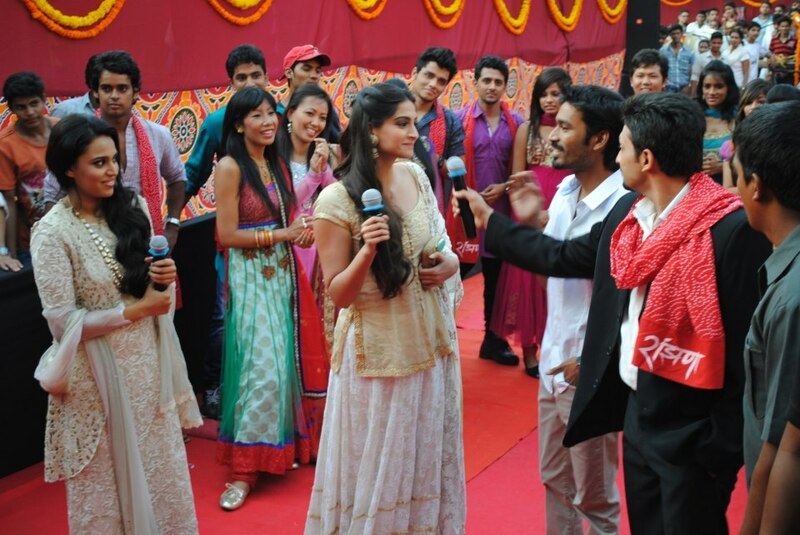 She of course didn’t take him seriously and brushed him off. 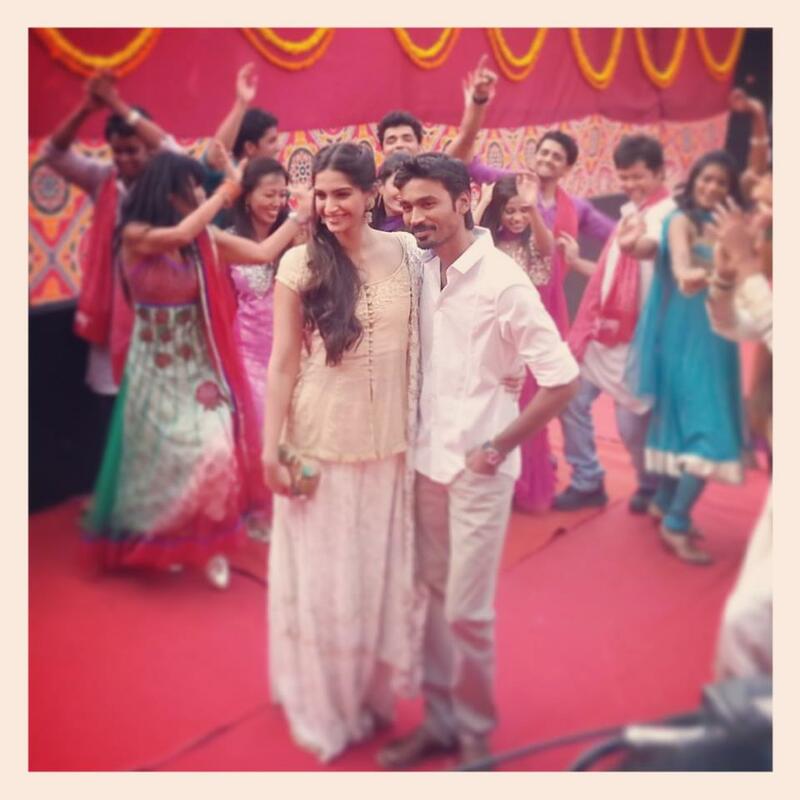 Time passed by and Zoya moved to Delhi to study further. 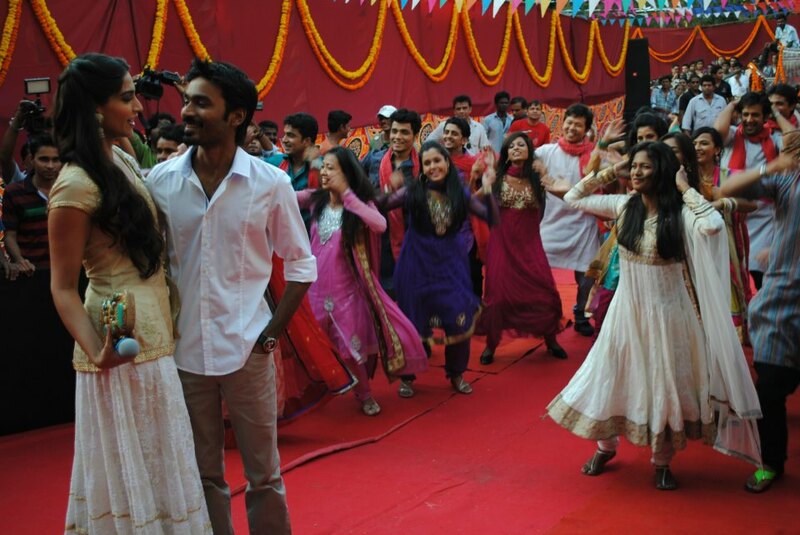 Love they say is a feeling that only grows stronger with time and Kundan’s love for Zoya never diminished, he carried his feeling all through college and his heart flipped when Zoya came back to his town. 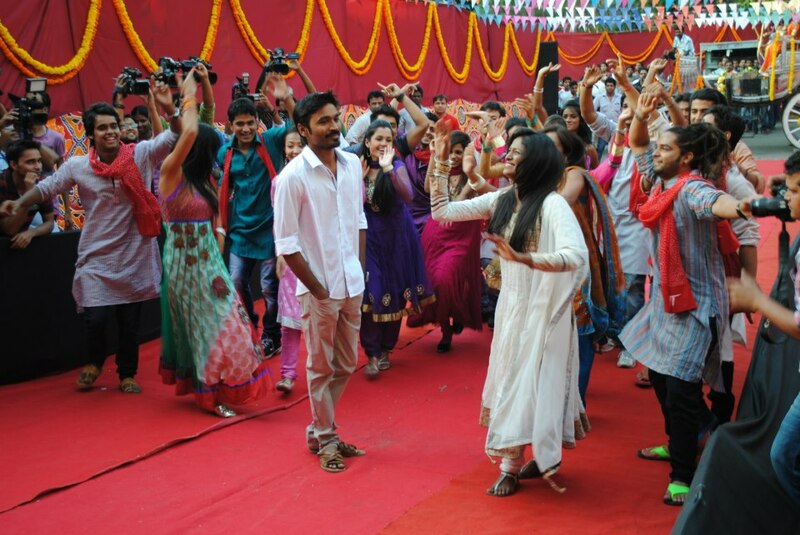 With Zoya back in Benaras Kundan’s world was filled with excitement as he was thinking of finally telling her how he felt. 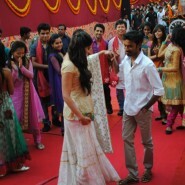 Zoya finally met Kundan and confessed her true feelings to him. 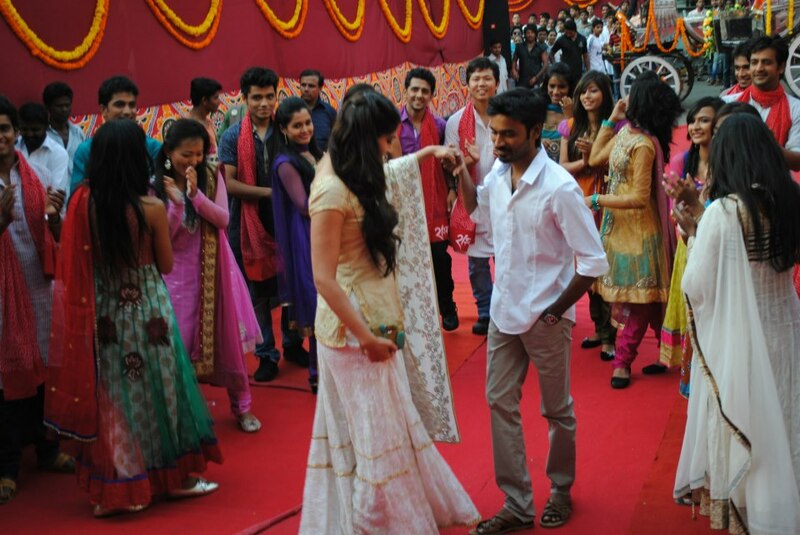 She was in LOVE! 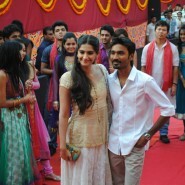 She was in love with Akram, a college friend from DU and he was the love of her life and she wanted Kundan’s help in marrying him. 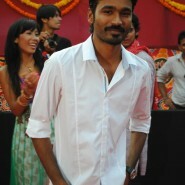 His world shattered and his heart broke a million pieces, the rage that Kundan felt was inexplicable. 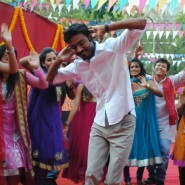 He was torn between his true feelings for Zoya and his hearts pleas to help her get her true love because who could understand that pain better than him. 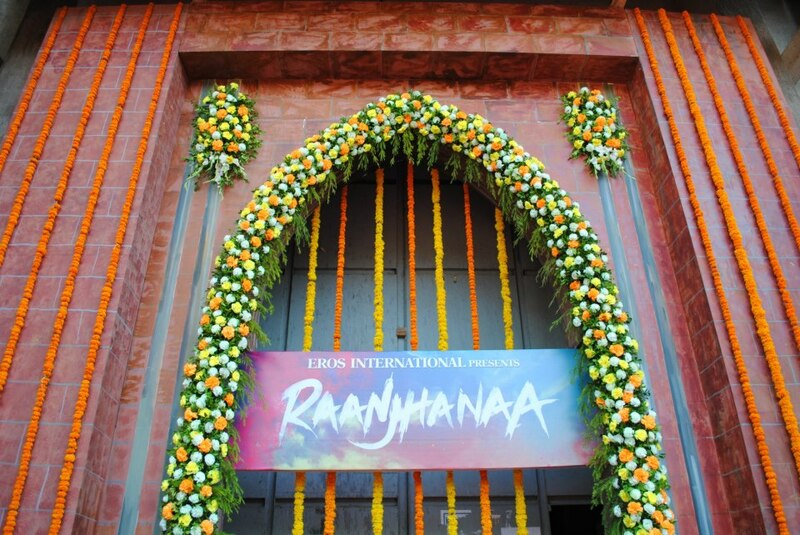 He sets out to unite her with Akram and what follows is a tale of Love, betrayal, redemption and healing set against the very rooted town of Benaras and the upbeat political environs of Delhi. 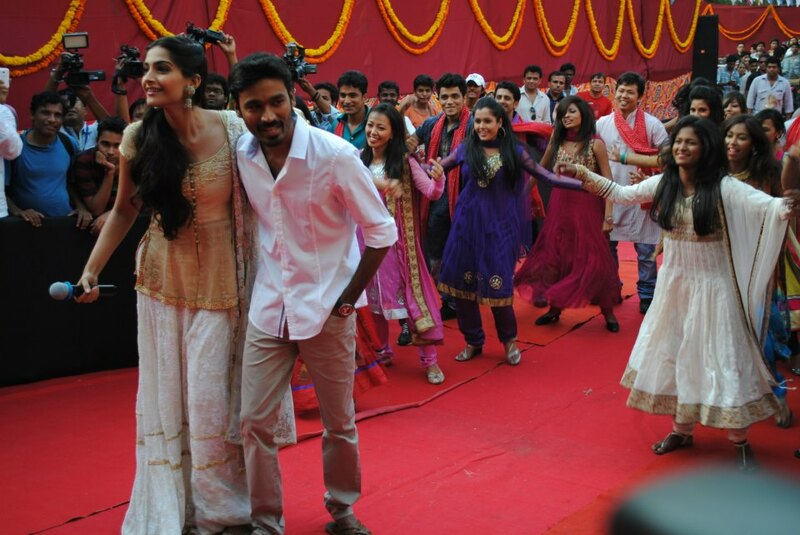 Raanjhanaa is the story of Kundan, his journey from a 13-year-old boy in love who goes on to become a committed, spirited young man, who’s experiences in life made him the person he is today. 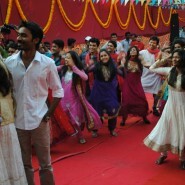 It’s the STORY OF LOVE!! 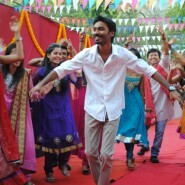 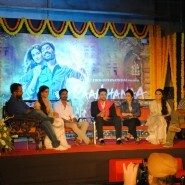 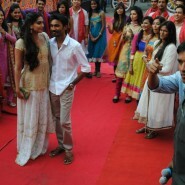 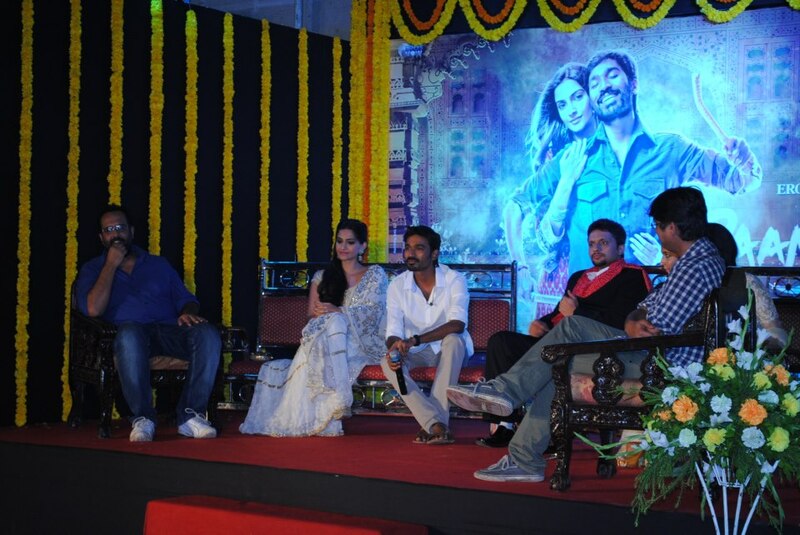 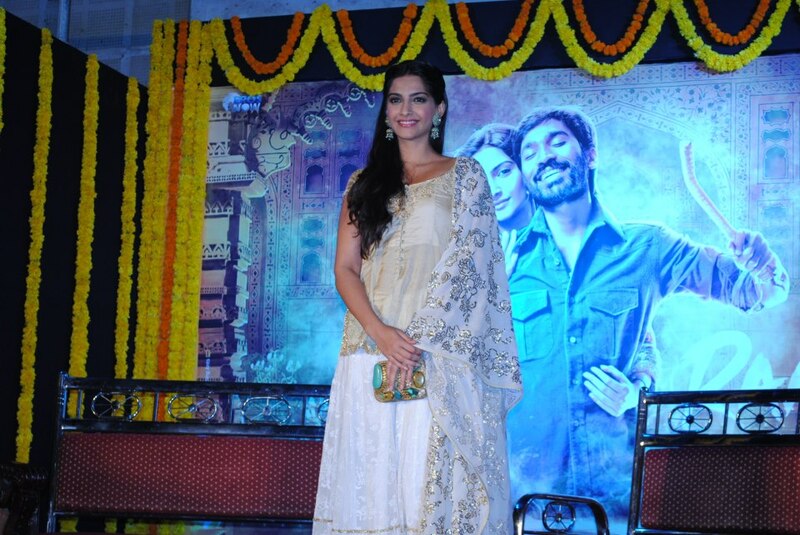 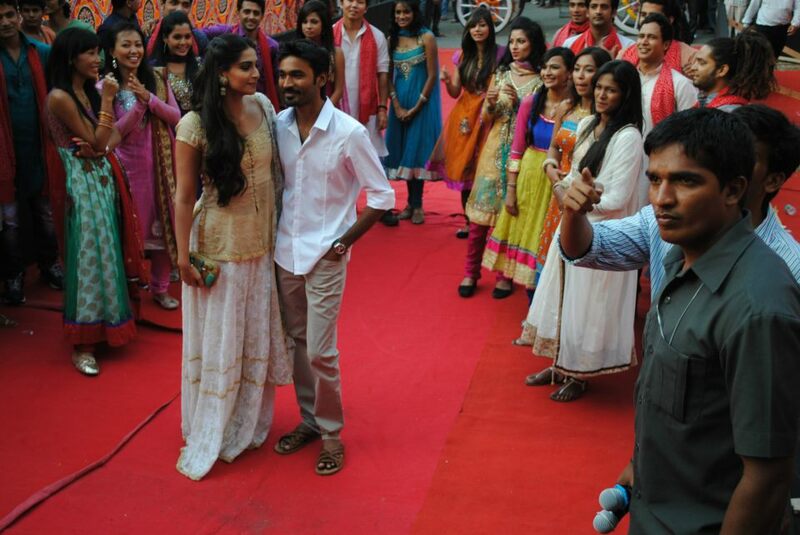 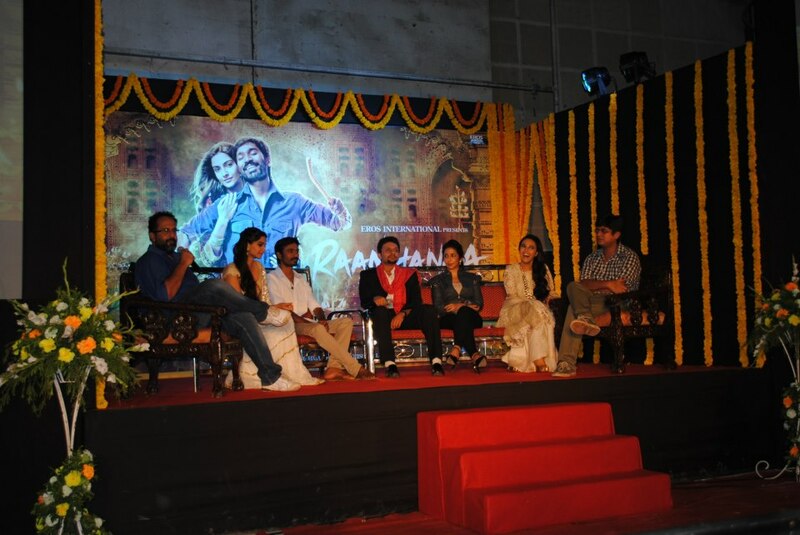 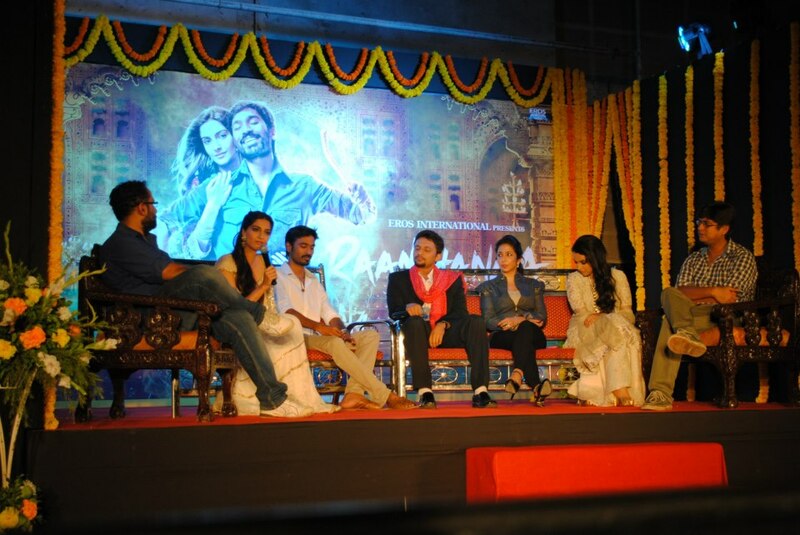 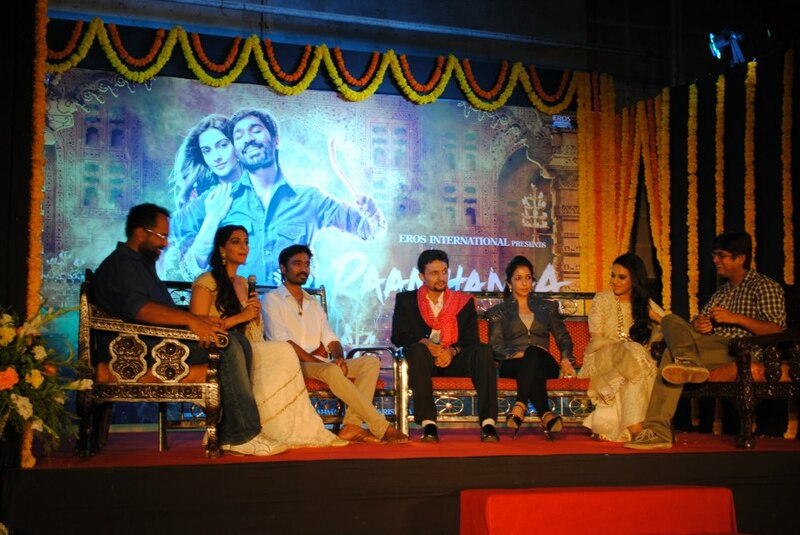 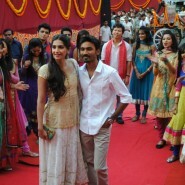 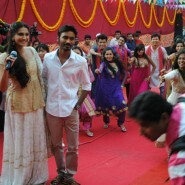 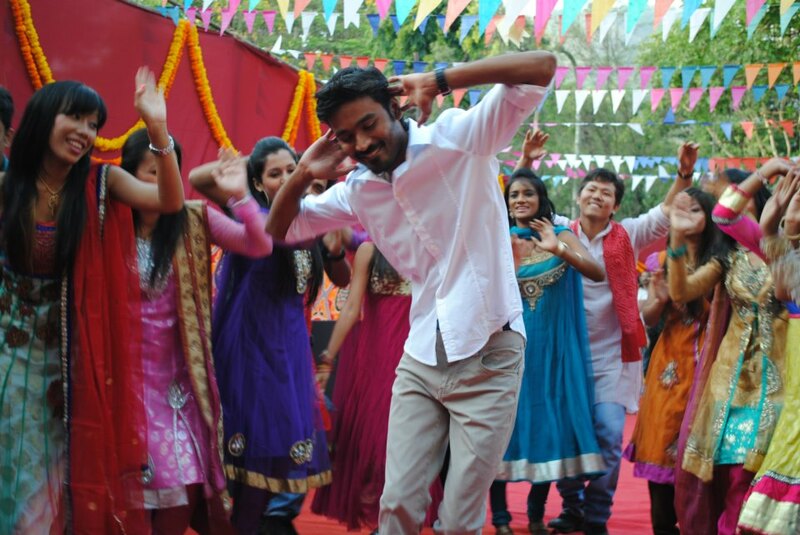 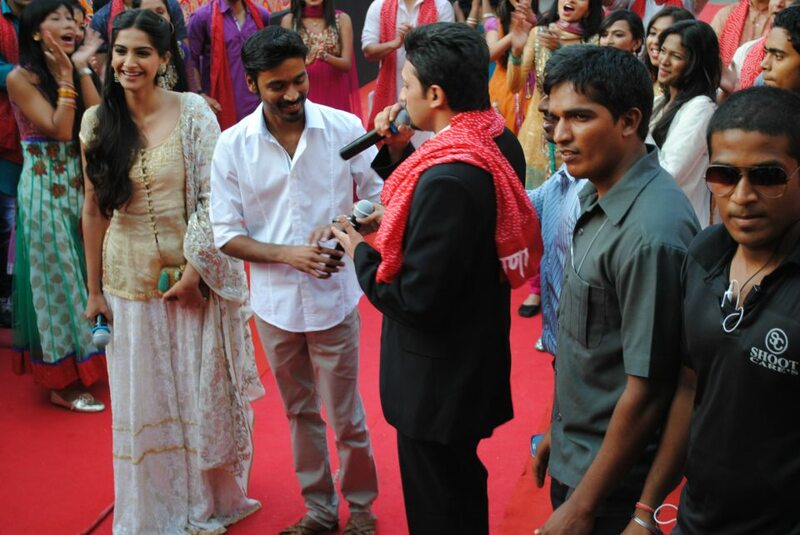 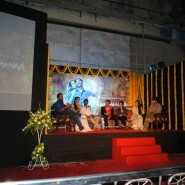 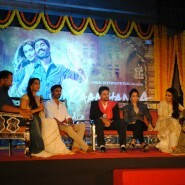 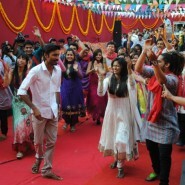 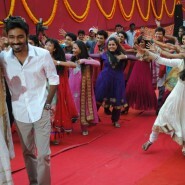 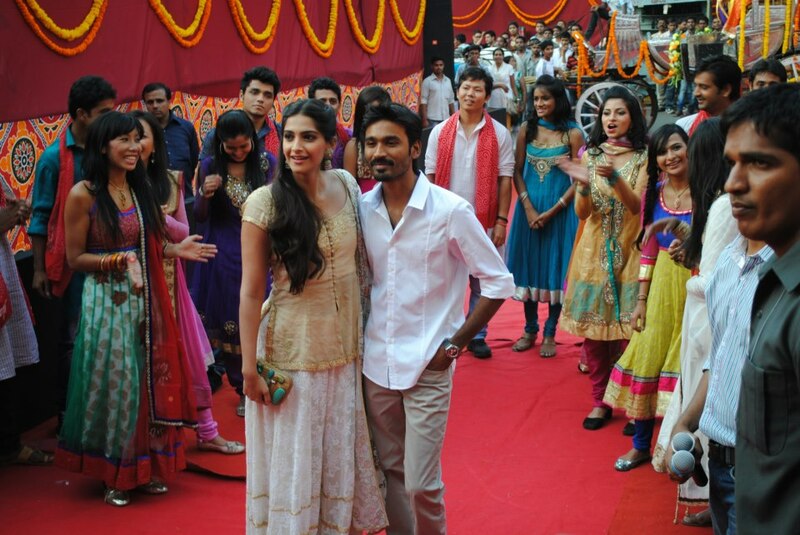 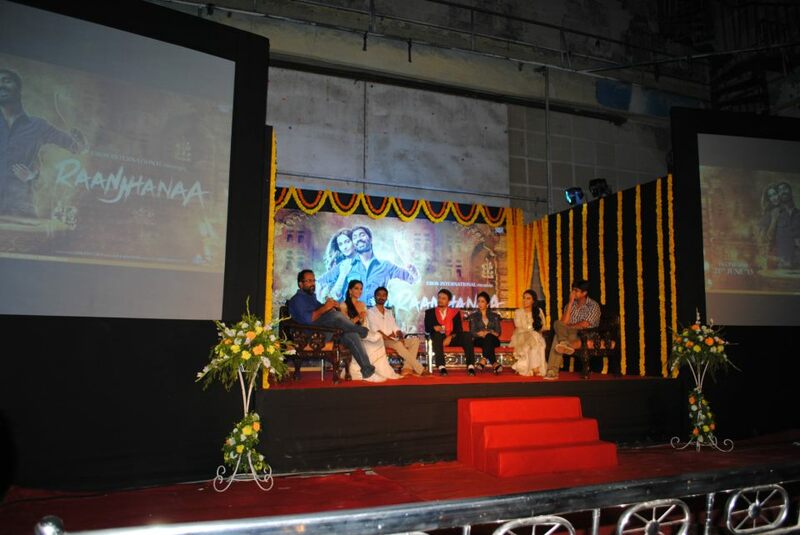 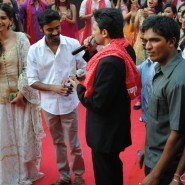 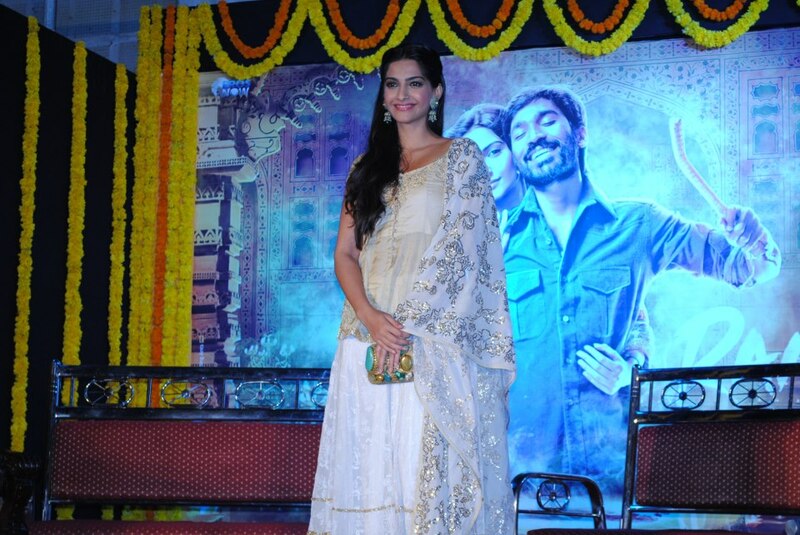 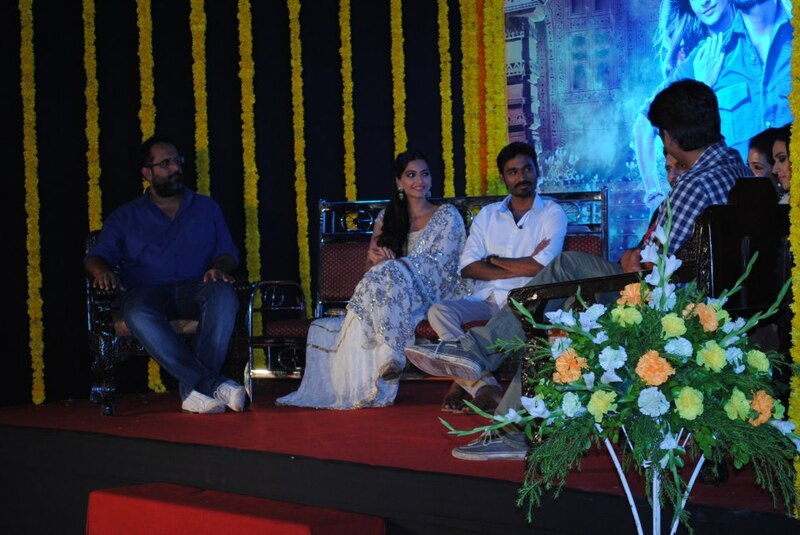 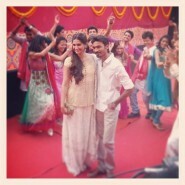 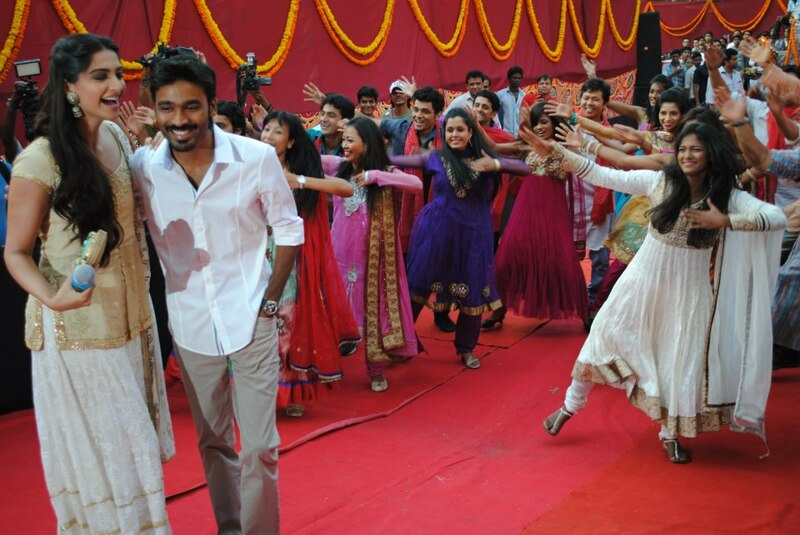 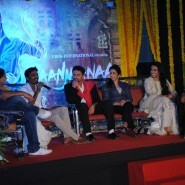 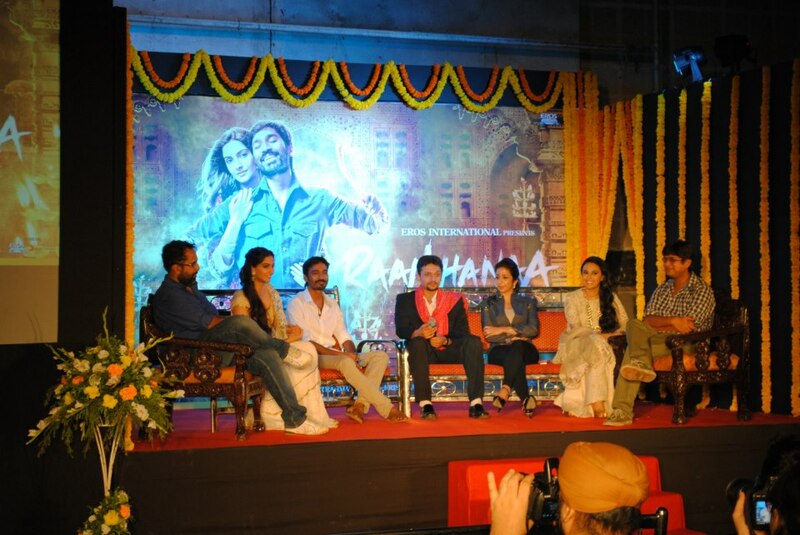 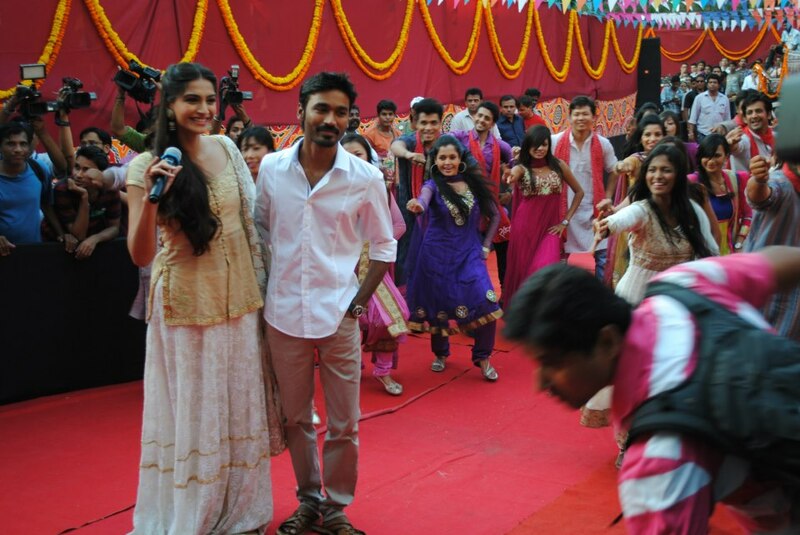 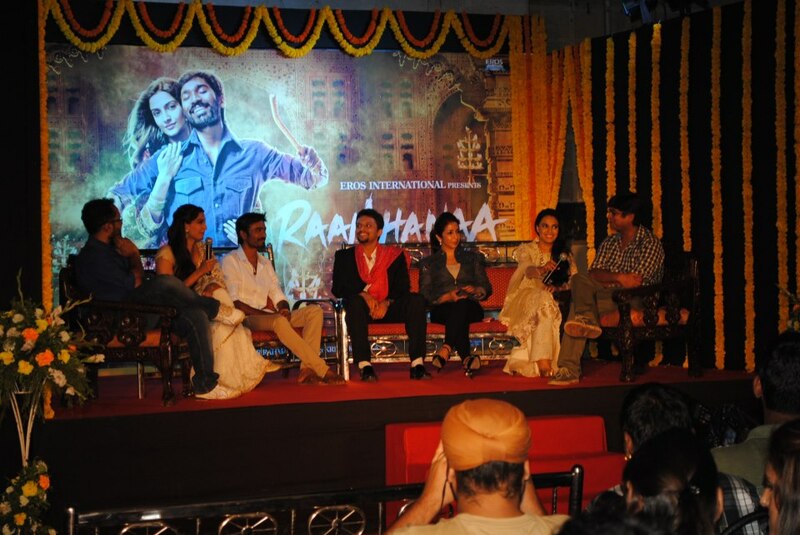 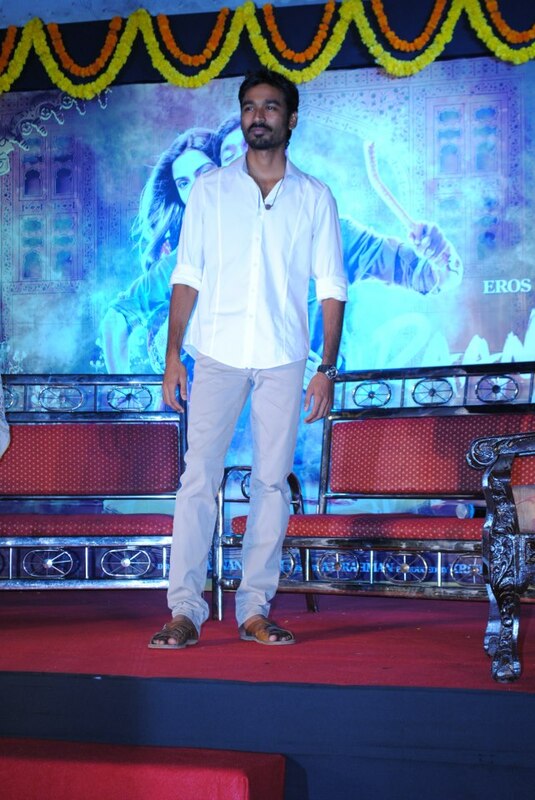 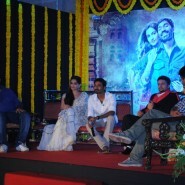 For a special event Benaras was recreated in Mumbai in order to unveil the first look of Raanjhanaa! 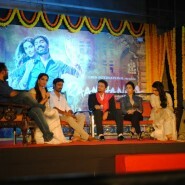 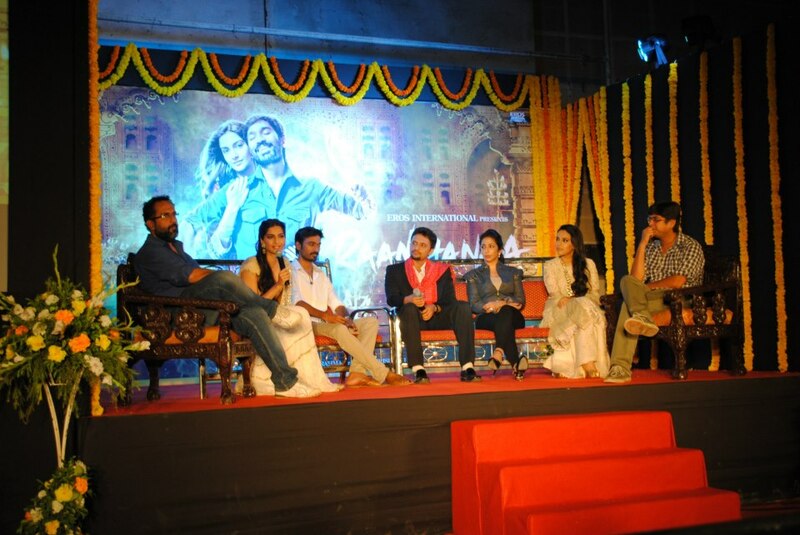 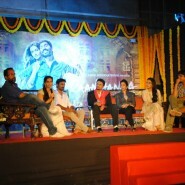 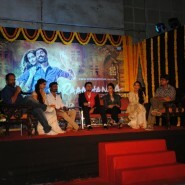 The duo had an interactive session with the media at this event where they spoke about their film and the characters they portray. 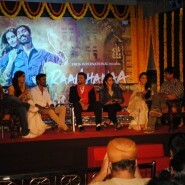 At the event also spotted were the director Aanand L. Rai & producer Krishika Lulla. 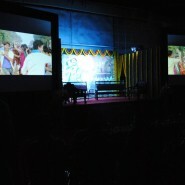 Check out the video and the cool shots of the event!